DIKE — Katie Knock made two clutch free throws with 0.6 seconds remaining in overtime to lift Dike-New Hartford to a 41-40 North Iowa Cedar League girls’ basketball win over Sumner-Fredericksburg Tuesday night. Cassidy Pagel, who led the Cougars (8-4, 7-3) with 17 points, made a pair of free throws with 2.2 second left to give her team a 40-39 lead, but as time was about to expire Knock was fouled near midcourt and calmly knocked down both ends of a one-and-one for the win. Ellie Foster led D-NH (8-2, 7-2) with 20 points and Knock followed with 17. CLARKSVILLE 54, JANESVILLE 45: In an Iowa Star Conference battle of highly-ranked Class 1A teams, No. 8 Clarksville topped No. 7 Janesville. The Indians took a 29-20 lead into halftime and never lost it in the final 16 minutes. Janesville’s Briana Baker-Bruce led all players with 14 points. For Clarksville, five players scored 10 or more, led by Mallory Hoodjer with 12. Janesville (10-2) and Clarksville (12-1) are now tied atop the Iowa Star North with 6-1 league records. CRESTWOOD 44, DECORAH 23: Sharon Goodman poured in 25 points to lead Crestwood to a Northeast Iowa Conference win. The Cadets (8-4, 5-1) led 28-11 at halftime. Ambria Pipho led Decorah with 15 points. APLINGTON-PARKERSBURG 40, WAPSIE VALLEY 16: Wapsie Valley threw a zone defense against No. 10 Aplington-Parkersburg in hopes of slowing the game down. It nearly worked. The Falcons led just 21-12 at the half, but Wapsie Valley was limited to only four points in the third quarter and was outscored 15-0 in the fourth. Aplington-Parkersburg atop the NICL East at 11-1. DIKE-NEW HARTFORD 61, SUMNER-FREDERICKSBURG 40: Dike-New Hartford remain tied with Aplington-Parkersburg in the NICL East at 7-1 after cruising past Sumner-Fredericksburg. 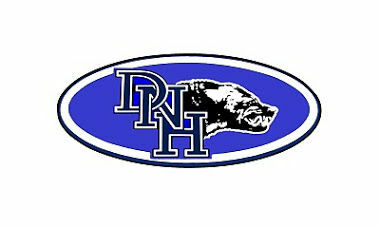 In the second quarter, D-NH used an effective pressing defense to stretch a 16-5 first quarter lead to 33-17 at the half. Cade Fuller had 14 points and Colton Harberts 13 for the Wolverines. APLINGTON-PARKERSBURG 81, WAPSIE VALLEY 55: Carter Cuvelier and Aaron Price each scored 19 points as Aplington-Parkersburg raced past Wapsie Valley. For Price, a senior guard, it was a career high. He also helped the Falcons rack up 13 3-point buckets on the night. Paul Rundquist scored 19 points to lead Wapsie Valley. GLADBROOK-REINBECK 54, GRUNDY CENTER 41: Gladbrook-Reinbeck outscored Grundy Center 10-0 over the final four minutes to nail down a North Iowa Cedar League win. It was 22-17 at the midway mark and the Spartans (3-7, 2-5) stayed close until G-R (6-3, 5-2) went on its closing run. Rebels senior Jackson Kiburis led all scorers with 25 points. Joe Johnson had 15 for Grundy Center. TRIPOLI 48, RICEVILLE 42, OT: After the two teams played evenly for most of the game, Tripoli outscored Riceville 10-4 in the extra period. Tripoli’s Blake Bockaus scored with four seconds left in regulation to even the score at 38-39. For the game, Bockhaus led all players with 23 points. In the overtime, Tripoli ended the game making four free throws to seal the win. CRESTWOOD 57, DECORAH 55: Crestwood held on for a narrow win over Decorah. Zack Lane scored 26 points to lead the Cadets while Matt Franzen topped Decorah with 14. SUMNER-FREDERICKSBURG (8-4, 7-3) — Kylie Jordon 4, Ivy Hirsch 9, Megan Niewoehner 2, Cassidy Pagel 17, Jenna Pagel 8. DIKE-NEW HARTFORD (8-2, 7-2) — Ellie Foster 20, Morgan Weber 11, Katie Knock 17, Sophia Hoffmann 2, Carlee Dove 4. JANESVILLE (10-2, 6-1) — Lily Liekweg 5, Bailey Hoff 6, Alisa Bengen 10, Kennedy Rieken 7, Briana Baker-Bruce 14, Gabby Gergen 3. CLARKSVILLE (12-1, 6-1) — Janet Borchardt 10, Cheyenne Behrends 1, Kori Wedeking 10, Emma Poppe 11, Chloe Ross 10, Mallory Hoodjer 12. CRESTWOOD (8-4, 5-1) — Taylor Shelton 3, Laken Lienhard 5, Kennedy Gaul 2, Annie Mast 3, Shelby Pisney 3, Brooklyn Ferrie 1, Samantha Balk 2, Sharon Goodman 25. DECORAH (0-13, 0-6) — Ambria Pipho 15, Abigail Milburn 2, Emma Nierengarten 4, Skyler Malone 2. WAPSIE VALLEY (6-6, 2-6) — Kaci Beesecker 2, Anna Richards 3, Mikenna Joerger 4, Melody Kayser 4, Erin Riordan 3. APLINGTON-PARKERSBURG (11-1, 8-1) — Sophia Jungling 4, Karson DeGroote 7. Megan Johnson 5, Jenna Bruns 10, Avari Everts 10, Ainsley Brungard 4. SUMNER-FREDERICKSBURG (5-6, 3-5) — Blayze Quigley 11, Blake Biermann 3, Kelby Olson 4, Jordon Jacobson 5, Kody VanEngelenburg 8, James Stimson 8, Beau Nederhoff 1. DIKE-NEW HARTFORD (8-1, 7-1) — Tim Koop 7, Cade Fuller 14, Ryan Moore 6, Parker Kiewiet 3, Dane Fuller 8, Derek Kinney 4, Colton Harberts 13. WAPSIE VALLEY (6-4, 5-3) — Blayde Bellis 7, Connor Franzen 3, Tyler Ott 3, Paul Rundquist 19, Kiks Rosengarten 13, Tanner Sauerbrei 10. APLINGTON-PARKERSBURG (9-2, 7-1) — Aaron Bartels 5, Aaron Price 19, Owen Thomas 9, Carter Cuvelier 19, Cameron Luhring 8, Sam Bachman 3, Junior Bodden 3, Josh Haan 12, Christian Haugstad 2, Joe Schipper 1. GRUNDY CENTER (3-7, 2-5) — Cale Hendricks 5, Travis Kuester 6, Zach Opheim 2, Brady Jacobsen 1, Derek Ciddio 2, Nick Ascher 2, Joe Johnson 15, Tanner Appel 6, Matthew Sternhagen 2. GLADBROOK-REINBECK (6-3, 5-2) — Tyler Tscherter 3, Dylan Riffey 11, Eli Thede 13, Jackson Kiburis 25, Kale Hasselmann 2. TRIPOLI (4-6, 4-3) — Michael Davis 2, Lincoln Drewis 7, Connor Piehl 5, Gavin Shepard 8, Blake Bockhaus 23, Dawson Bergmann 4. DECORAH (4-5, 3-2) — Keaton Solberg 4, Sam Robinson 7, Charlie Robinson 3, Pat Bockman 10, Tynan Nelson 2, Matt Franzen 14, Seth Shindelar 6, Logan Halverson 9. CRESTWOOD (6-3, 3-1) — Zack Lane 26, Carter Henry 2, Shane Vokety 5, Jacob Andera 9, Nathan Martinek 4, Jon Henry 8. 285 – Noah Pittman (DB) pinned Ethan Timp, 0:20, 106 – Garrett Funk (DB) technical fall over Ethan Maldonado 17-2, 5:56, 113 – Cody Brown (DB) pinned Phillip French, 5:00, 120 – Daniel Kimball (DB) pinned Briar Tigges, 1:17, 126 – Michael McClelland (DB) pinned Chance Adams, 1:46, 132 – Easton Larson (DB) pinned Toby Conway, 1:10, 138 – Cael Frost (DB) pinned Lane Quandahl, 2:11, 145 – Max Weggengel (DB) pinned Sam Conway, 0:49, 152 – Cade Tenold (DB) dec. Logan Schnuelle 5-2, 160 – Carson Tenold (DB) dec. Zach Taylor 7-2, 170 – Cael Rahnavardi (DB) pinned Jacob Bohr, 0:36, 182 – Fischer Ohrt (DB) pinned Leonel Varona, 0:15, 195 – Thomas Even pinned Damon Meyer, 2:59, 220 – Alec Carpenter (DB) dec. Zach Poshusta 4-3. 106 – Funk (DB) pinned Cael Judisch, 3:13, 113 – Brown (DB) pinned Brady Wilkinson, 1:03, 120 – Kimball (DB) pinned Carter Dralle, 0:55, 126 – McClelland (DB) pinned Nathan Egan, 2:37, 132 – Larson (DB) pinned Spencer Matt, 0:59, 138 – Frost (DB) pinned owen Kime, 1:20, 145 – Wettengel (DB) pinned Colten Dralle, 5:12. 152 – Cade Tenold (DB) pinned Treyce Ensign, 2:32, 160 – Carson Tenold (DB) pinned Callan VanEngelenburg, 5:48, 170 – Rahnavardi (DB) won by forfeit, 182 – Even (DB) won by forfeit, 195 – Weiland Steffen (SF) pinned Charlie Hogan, 0:24, 220 – Treyten Steffen (SF) pinned Carpenter, 0:48, 285 – Pitman (DB) won by forfeit. 113 – French (SW) dec. Wilkinson 92, 120 – Ca, Dralle (SF) pinned Tigges, 0:46, 126 – Egan (SF) pinned Adams, 1:51, 132 – Matt (SF) dec. Conway, 7-4, 138 – Kime (SF) dec. Quandahl 10-0, 145 – Co. Dralle (SF) pinned Coneay, 1:19, 152 – Schnuelle (SW) pinned Ensign, 1:26,160 – Taylor (SW) won by forfeit, 170 – VanEngelenburg (SF) pinned Bohr, 1:15, 182 – We. Steffen (SF) won by forfeit, 195 – Yungtum (SF) won by forfeit, 220 – T. Steffe (SF) pinned Meyer, 5:14, 285 – Timp (SW) won by forfeit, 106 – Maldonaldo (SW) dec. Judisch 13-0. 170 – Dylan Durnan (NFV) pinned Brock Beesecker, 3:50, 182 – Kale Rodgers (NFV) pinned Sam Rubner, 3:05, 195 – Colton Schupbach (NFV) won by forfeit, 220 – Israel Hernandez (NFV) won by forfeit, 285 – Rylan Duffy (WV) pinned Trenten Matti, 0:40, 106 – Breden Ellis (NFV) pinned Gavin Leitikow, 3:52, 113 – No match, 120 – Skylar Plater (WV) pinned Jacob Germann, 5:45, 126 – Levi Lauer (NFV) won by forfeit, 132 – Dylan Lerch (NFV) won by forfeit, 138 – Gunner Rodgers (NFV) pinned Cayle Huebner, 1:48, 145 – Joel Grimes (NFV) dec. Reese Welcher 7-2, 152 – Alex Streif (NFV) pinned Sam Banger, 2:18, 160 – Nathan Hyde (WV) pinned Jesse Daughton, 0:28. 182 – K. Rodgers (NFV) won by forfeit, 195 – Schupbach (NFV) dec. Landon Nunemaker 12-8, 220 – Luke Recker (EB) pinned Hernandez, 2:58, 285 – Taylor Fox (EB) pinned Matti, 1:00, 106 – No match, 113 – Sebastian Beatty (EB) pinned Ellis, 3:53, 120 – Germann (NFV) pinned Cole Allsup, 1:51, 126 – Devin Duggan (EB) pinned Lauer, 3:27, 132 – Lerch (NFV) won by forfeit, 138 – G. Rodgers (NFV) dec. TJ Lau SV-1 7-5, 145 – Grimes (NFV) pinned Ethan Thompson, 3:31, 152 – Alex Streif (NFV) dec.Tate Fults 12-6, 160 – James Mossman (EB) dec. Daughton 9-2, 170 – Durnoan (NFV) pinned Jacob Kelly, 0:29. 195 – Nunemaker (EB) won by forfeit, 220 – Recker (EB) won by forfeit, 285 – Fox (EB) pinned Duffy, 3:26, 106 – Leistikow (WV) won by forfeit, 113 – Beatty (B) won by forfeit, 120 – Plaster (WV) pinned Alsup, 1:50, 126 – Duggan (EB) won by forfeit, 132 – No match, 138 – Huebner (WV) pinned Lau, 3:59, 145 – Welcher (WV) pinned Thompson, 3:15, 152 – Fults (EB) pinned Banger 3:20, 160 – Hyde (WV) pinned Kelly, 2:40, 170 – Mossman (EB) dec. Beesecker 3-1, 182 – Rubner (WV) won by forfeit. 220 – Lane Albertsen (Union) pinned Landon Moorman, 2:39, 285 – Cater Reicks (NH/TV) pinned Matt Millard, 0:36, 106 – Lincoln Mehler (Union) def. Gavin Rings 8-0, 120 – Hunter Worthern (Union) dec. Jonathan Dreckman 13-4, 126 – Mason Cleveland (NH/TV) pinned Lake LeBahn, 5:38, 132 – Stone Schmitz (Union) dc. Brayden Anderson 6-3, 138 – Jack Thomsen (Union) dec. Carson Babcock 14-3, 145 – Max Babcock (NH/TV) pinned Lane Hennings, 0:47, 152 – Adam Ahrendsen (Union) dec. Hunter Peseck 3-0, 160 – Clayton Taylor (NH/TV) pinned Kaleb Roach, 2:27, 170 – Max Schwicerath (NH/TV) pinned Hunter Klima, 2:35, 182 – Wyatt Stochl (NH/TV) pinned Dacoda Marvets, 2:59, 195 – Evan Rosonke (NH/TV) dec. Rashawn Williams 11-7. SUMNER-FREDERICKSBURG (8-4, 7-3) -- Kylie Jordon 4, Ivy Hirsch 9, Megan Niewoehner 2, Cassidy Pagel 17, Jenna Pagel 8. DIKE-NEW HARTFORD (8-2, 7-2) -- Ellie Foster 20, Morgan Weber 11, Katie Knock 17, Sophia Hoffmann 2, Carlee Dove 4. JANESVILLE (10-2, 6-1) -- Lily Liekweg 5, Bailey Hoff 6, Alisa Bengen 10, Kennedy Rieken 7, Briana Baker-Bruce 14, Gabby Gergen 3. CLARKSVILLE (12-1, 6-1) -- Janet Borchardt 10, Cheyenne Behrends 1, Kori Wedeking 10, Emma Poppe 11, Chloe Ross 10, Mallory Hoodjer 12. CRESTWOOD (8-4, 5-1) -- Taylor Shelton 3, Laken Lienhard 5, Kennedy Gaul 2, Annie Mast 3, Shelby Pisney 3, Brooklyn Ferrie 1, Samantha Balk 2, Sharon Goodman 25. DECORAH (0-13, 0-6) -- Ambria Pipho 15, Abigail Milburn 2, Emma Nierengarten 4, Skyler Malone 2. WAPSIE VALLEY (6-6, 2-6) -- Kaci Beesecker 2, Anna Richards 3, Mikenna Joerger 4, Melody Kayser 4, Erin Riordan 3. APLINGTON-PARKERSBURG (11-1, 8-1) -- Sophia Jungling 4, Karson DeGroote 7. Megan Johnson 5, Jenna Bruns 10, Avari Everts 10, Ainsley Brungard 4. SUMNER-FREDERICKSBURG (5-6, 3-5) -- Blayze Quigley 11, Blake Biermann 3, Kelby Olson 4, Jordon Jacobson 5, Kody VanEngelenburg 8, James Stimson 8, Beau Nederhoff 1. DIKE-NEW HARTFORD (8-1, 7-1) -- Tim Koop 7, Cade Fuller 14, Ryan Moore 6, Parker Kiewiet 3, Dane Fuller 8, Derek Kinney 4, Colton Harberts 13. WAPSIE VALLEY (6-4, 5-3) -- Blayde Bellis 7, Connor Franzen 3, Tyler Ott 3, Paul Rundquist 19, Kiks Rosengarten 13, Tanner Sauerbrei 10. APLINGTON-PARKERSBURG (9-2, 7-1) -- Aaron Bartels 5, Aaron Price 19, Owen Thomas 9, Carter Cuvelier 19, Cameron Luhring 8, Sam Bachman 3, Junior Bodden 3, Josh Haan 12, Christian Haugstad 2, Joe Schipper 1. GRUNDY CENTER (3-7, 2-5) -- Cale Hendricks 5, Travis Kuester 6, Zach Opheim 2, Brady Jacobsen 1, Derek Ciddio 2, Nick Ascher 2, Joe Johnson 15, Tanner Appel 6, Matthew Sternhagen 2. GLADBROOK-REINBECK (6-3, 5-2) -- Tyler Tscherter 3, Dylan Riffey 11, Eli Thede 13, Jackson Kiburis 25, Kale Hasselmann 2. TRIPOLI (4-6, 4-3) -- Michael Davis 2, Lincoln Drewis 7, Connor Piehl 5, Gavin Shepard 8, Blake Bockhaus 23, Dawson Bergmann 4. DECORAH (4-5, 3-2) -- Keaton Solberg 4, Sam Robinson 7, Charlie Robinson 3, Pat Bockman 10, Tynan Nelson 2, Matt Franzen 14, Seth Shindelar 6, Logan Halverson 9. CRESTWOOD (6-3, 3-1) -- Zack Lane 26, Carter Henry 2, Shane Vokety 5, Jacob Andera 9, Nathan Martinek 4, Jon Henry 8.